The Mental Health Association of Rockland County, Inc. (MHA) is committed to providing optimal services as defined by the needs of service recipients and the program parameters. The goal is to ensure that services are provided according to local, state, and federal regulations. Hope: Demonstrating the belief that individuals can find success, happiness and satisfaction in their lives. Commitment: Dedicating ourselves to providing quality services and demonstrating responsibility, accountability, ethical behavior and integrity in everything we do. Compassion: Providing quality care and support through the recovery process. Respect: Embracing and affirming the unique qualities, opinions and cultural differences of individuals. Self-determination: Encouraging independence and self-sufficiency. opportunities available to our community. State of New York, and other applicable local laws and ordinances, as well as the ethical standards practices of the behavioral health field and MHA. This policy applies not only in the delivery of health care but in its business affairs and its dealings with employees, physicians, agents, payers and the communities it serves. Corporate Compliance is a proactive, preventive approach to identifying, monitoring and controlling the risks associated with carrying out MHA’s mission, obligations, rules, regulations, and requirements. Corporate Compliance extends to all aspects funded or managed by the organization. In order to live up to this commitment and implement its policy, the MHA’s Board of Directors has approved a formal Corporate Compliance Plan to establish a framework for ethical responsibility and legal compliance for all healthcare, business and legal activities performed by MHA employees, interns, volunteers, consultants and contractors. It is the personal responsibility of all who are associated with MHA to honor this commitment in accordance with the terms of the MHA’s Corporate Compliance Plan and all related policies, procedures and standards. Compliance Plan cannot guarantee that improper conduct will be entirely eliminated, but will help ensure that if it does occur, it will be promptly detected and responded to in a timely manner. Complies with all federal, state and local laws and regulations that are applicable to its operations. MHA receives regular updated Regulatory information and all new information pertaining to the Office of Mental Health (OMH), Office of Alcohol and Substance Abuse Services (OASAS), Department of Health (DOH) and Medicaid will be distributed to programs as it becomes available. Program Policy and Procedure manuals are updated by programs when necessary. Satisfies the conditions of participation in health care programs funded by the state and federal government and the terms of its other contractual arrangements. Detects, prevents and deters known or suspected error and abuse or other forms of misconduct, whether intentional or unintentional, and helps ensure a prompt and appropriate response when misconduct occurs, particularly where client safety is at risk. Promotes self-auditing and provides for voluntary disclosure of violations of laws and regulations. Educates employees, contract providers, board members, and stakeholders of their responsibilities and obligations to comply with applicable local, state, and federal laws and regulations. Establishes, monitors, and enforces high professional and ethical standards. Ensures that employees have sufficient resources available to report concerns and seek guidance whenever a question arises or one is unsure how to act. 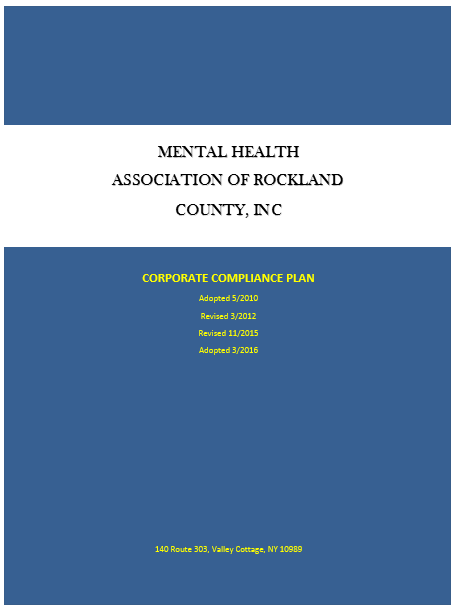 The elements of MHA’s Corporate Compliance plan is based on recommendations from various entities: United States Sentencing Organizational Guidelines, Deficit Reductions Act of 2006, New York State Social Services Regulations 18 NY ADC II E 3 521 – “Provider Compliance Programs”, and generally accepted standards and practice. c) other persons, providers or affiliates who provide care, services or supplies under the medical assistance program or persons who submit claims for care, service, or supplies for or on behalf of another person for which the medical assistance program is or should be reasonably expected by a provider to be a substantial portion of their business operations. This Code of Conduct sets forth standards for all MHA employees in carrying out daily activities within appropriate ethical and legal standards. These standards apply to relationships with client, third-party payers, vendors, consultants and one another. The Code of Conduct is intended to augment, not limit or substitute specific policies and procedures of any other program or department of the MHA. It is the duty of each person to uphold the standards set forth in the Code of Conduct. The Code is not intended to, nor can it, cover every situation. The principles in the Code are to be adhered to in addition to (not as a substitute for) the ethical guidelines of any and all applicable professions, law, licensing agencies and internal policies that apply to the respective programs of the MHA. Additionally, no set of standards can substitute for the personal integrity, good judgment and common sense required to meet the challenges of daily work. The Code is a critical component of the agency’s Compliance Program. The policies set forth in this Code are mandatory and must be followed. MHA is subject to governance by numerous statutes and regulation, including but not limited to: OMH, OASAS, Office for People with Developmental Disabilities (OPWDD), Medicaid, Medicare, Child and Adult Care Food Program (CACFP) and DOH. Conduct. The Director of Corporate Compliance and the Compliance Committee will act as resources to employees seeking clarification regarding the Code of Conduct. All MHA employees shall conduct themselves in their work in the highest ethical manner in accordance with professional standards. The MHA shall submit accurate and complete requests for payment of services that are reasonable and appropriate. The MHA shall maintain accurate and appropriate documentation to support requests. All MHA employees shall avoid situations where their personal interest could conflict or appear to conflict with their responsibilities, obligations or duties to MHA. No MHA employee shall use their position and affiliation with the MHA for personal benefit apart from the normal compensations provided through employment or affiliation with MHA. MHA employees are required to contact the Director of Corporate Compliance or Director of Human Resources with any questions or conflicts regarding personal interest. All employees are required to disclose any financial interest that they or any immediate family member may have in any establishment that does business with the MHA to the Director of Human Resources. All MHA employees shall maintain the confidentiality of information and documents in accordance with Health Insurance Portability and Accountability (HIPAA) and related statutes. Medical, clinical or business information shall be released only to persons authorized by law or by the client’s written consent. MHA employees shall not accept gifts, services, entertainment, or other things of value to the extent that decision-making or actions affecting the organization might or might appear to be influenced. MHA employees shall not accept gifts from MHA clients. However, an item made by a client may be accepted by staff as long as acceptance of the gift is determined to be in the best interest of the client. Such determination is made by staff in consultation with his/her supervisor. Employees may retain gifts from vendors, which have a nominal value of $25 or less with a yearly maximum of $100. Gifts provided by client family members must be shared among entire department. Vendor gifts must be disclosed to supervisors. No person associated in any way with MHA will solicit nor receive any payment, in cash or in kind, for the referral of clients. Takes all reasonable steps to ensure clients are properly served by licensed, credentialed and/or skilled professional and para-professional employees and independent contractors. Respects the dignity and individuality of every person. Services are provided without regard to race, gender, religion, age, disability, national origin or sexual orientation. Shall have a grievance process for clients to report when service principles are not followed. MHA employees shall be provided with a workplace that conforms to regulations regarding occupational health and safety. Employers are to ensure that facilities, offices, residences and buildings are well maintained and provide a high level of safety for staff and clients. Any safety concerns should be reported to a supervisor or Executive Vice President. To hire and retain qualified individuals without regard to race, color, religion, gender, sexual orientation, national origin, age, marital status, military status, or disability. To employ individuals with the experience and provide supervision necessary to perform their duties. To screen all prospective and current employees to ensure that they have not been excluded by any regulatory agency and are eligible to perform their designated responsibilities. To train and continually educate staff responsible for coding and billing functions. To train every MHA employee on the Code of Conduct, Compliance Policies, and procedures relevant to each employee’s duties and document said trainings. To encourage each MHA supervisor to create a work environment in which ethical concerns can be raised and addressed. To show proper respect and consideration to our employees regardless of position, and not to tolerate discriminatory treatment, sexual harassment, and unlawful harassment of any kind. To respect the privacy of our employees and treat salary, benefits, payroll, personnel, and information on disciplinary matters as confidential information. To monitor the effectiveness of the Corporate Compliance Program and to modify the Program as changes occur to laws, rules, and regulations. To establish internal controls to ensure the accuracy of financial statements and all other record reports. To submit accurate and complete claims for all services provided and maintain appropriate documentation to support the claims. To bill for services according to medical necessity guidelines established by the various payers. To notify payers of payment errors, correct error, and process refunds promptly and accurately. To discipline those who commit violations or who would encourage, direct, facilitate or permit either actively or passively non-compliant behavior of any aspect of the Corporate Compliance Program up to and including termination. To encourage employees to report actual or suspected improper conduct and provide means for them to do so anonymously if desired. To encourage employees to seek guidance whenever they have a question or are unsure how to act. To forbid any acts of retaliation or retribution against an employee who makes a “good faith” report of a potential violation of any law, regulation, standard, policy, or code. To periodically assess whether employees understand the Corporate Compliance Plan and the ethical standards it requires. To set the tone and maintain a work environment that encourages ethical and responsible behavior and to establish an environment in which employees feel comfortable addressing compliance issues without fear of reprisal. To discuss the Corporate Compliance Program regularly at staff meetings, and to encourage questions from employees. To evaluate an employee’s adherence to the Corporate Compliance Program as part of the annual performance review. To abide by the Compliance Program and to know and follow all the rules and regulations that govern your job. To be honest and trustworthy in all relationships relative to your employment. To be reliable and efficient in carrying assignments and responsibilities given to you. To devote your full time and ability during working hours and those times where your actions are expected to match the standards put forth in the Plan. To tell the truth and cooperate with any investigation of a potential compliance violation, violation of MHA procedure or policy, or other legal matter, whether investigated by MHA representatives or government authorities and regulatory agencies. Failure to cooperate will be regarded as insubordination and will result in disciplinary action. 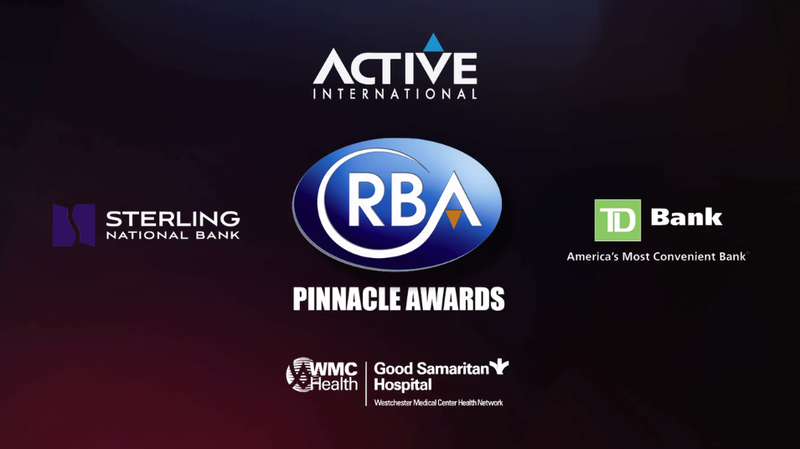 To treat your fellow employees and each recipient of MHA services with respect, dignity, patience and kindness and to never discriminate against or harass anyone on the basis of race, religion, gender, age, national origin, sexual orientation or affectation, or disability. To conduct themselves in a professional business manner. Any conduct that is considered to be hostile, verbally offensive, and disruptive to the work environment or is perceived to be intimidating, undermining to the management, or is considered blatant insubordination, will not be tolerated. To refrain from making misrepresentations (internally or externally, including social media), dishonest statements (internally or externally), or statements intended to mislead or misinform others (employees or non-employees) about the quality of MHA’s services or those of a competitor or other agency in similar work provisions. To respect the privacy of our clients of services, families, fellow employees and the public. To maintain the confidentiality of recipient information and information related to MHA business operations at all times, including off-duty. This responsibility also extends past the end of your employment with MHA. No person associated in any way with MHA will solicit nor receive any payment, in cash or in kind, for the referral of clients. To refrain from providing a client, a former client, and/or a client’s family member our personal contact information which may include, but not be limited to, cellular phone number, home or personal e-mail address and any other telephone numbers or means of access unrelated to MHA programs. To not make promises to clients about not sharing information a client provides to an employee within MHA programs. However, we maintain formal confidentiality in accordance with agency policy and procedures and comply with all applicable privacy and HIPAA laws. To maintain professional relationships with clients at all times. No sexual or other inappropriate relationship may exist between a staff member and another staff member who directly or indirectly oversees, supervises, manages, and/or directs said staff member. The only exemption is pre-existing and pre-employment relationships which include but are limited to couples engagement, in marriage, in civil unions, and/or in other established relationships. To not loan or give their own money or any personal items to a client, a former client, and/or a client’s family member. To report any actual or potential violations of the law, this Compliance Program, or MHA policies and procedures. To comply with the investigation mechanisms set in place to follow up on suspected violations, issues, or discrepancies. To submit accurate, complete, and truthful records of your work, including but not limited to any written documentation needed to support the services you provided to the client or staff or any documentation within the agency. To submit accurate, complete and contemporaneous claims and records for all of your work related functions including but not limited to documentation of services provided, work documentation, time records, training records, educational records and to maintain appropriate and truthful documentation to support claims, services provided, and your work as an employee. Submitting inaccurate, dishonest or other fraudulent claims for billing and documentation purposes will be construed as a violation of the False Claims Act and of this Compliance Program. To comply with local, state, and federal regulations regarding government contracts and programs in which MHA participates. To use MHA equipment appropriately and to take measures to prevent unexpected loss of equipment, corruption of equipment or technology, supplies, materials or services. Employees are prohibited from responding to any requests from the media relating to their employment with or information about MHA without prior approval from the President or his/her designee. Hotline calls, Policy and Procedure updates, Regulatory changes etc. Minutes from each meeting will be provided to the CEO and the Board Chair. The Director of Corporate Compliance will report on all compliance efforts and identified issues directly to the CEO and Compliance Committee. In the event a Compliance issue is identified, the CEO and the Board Chair will be notified and expected to attend the Executive Compliance Committee meeting. The Compliance Committee staff meets monthly with an agenda that could include but is not limited to training, regulatory changes, new/emerging risks. The mission of the committee is to assure adherence to the Compliance Plan and provide regular updates on compliance issues. Compliance Committee meetings will be maintained and distributed to the CEO and the members of the Executive Compliance Committee. In conjunction with the CEO, the Director of Corporate Compliance will prepare an annual report for the Board of Directors. The Director of Corporate Compliance performs the duties listed below with oversight provided by the CEO and Executive Compliance Committee. Oversees overall Corporate Compliance Plan development, implementation and monitoring throughout the organization. Coordinates internal compliance review and monitoring activities. With the assistance of the Compliance Associate, develops, coordinates, conducts, and participates in an ongoing compliance educational and training program for MHA employees to promote the understanding of compliance issues, laws and regulations, and consequences of non-compliance. With the assistance of the Compliance Associate, develops and conducts risk assessments to identify potential compliance issues. Director of Corporate Compliance or Associate conducts orientation trainings for new staff relative to Corporate Compliance. Reviews the Compliance Plan and recommends revisions as necessary to meet changes in the needs of the agency and the regulatory environment. Assists management in the review, revision and formulation of appropriate policies and procedures to improve efficiency and quality of service to reduce vulnerability to fraud, waste and abuse. Administers and monitors MHA systems for reporting compliance issues to ensure persons can report without fear of retribution. Receives and reviews reports of suspected non-compliance. In conjunction with senior MHA staff, investigates such reports of alleged non-compliance, as necessary, to final resolution. Recommends and oversees corrective action plans as necessary to address non-compliance. State Restricted, Terminated or Excluded Individuals or Entities List have been checked with respect to all employees, medical staff and independent contractors to verify that they can participate in state and federal sponsored health care programs. Maintains a library of procedures, agency policies, and regulations. Draft a proposed compliance work plan. Open lines of communication between the Director of Corporate Compliance and the MHA employees is essential to staffs’ knowledge and awareness of compliance issues. The successful implementation of the Compliance Plan is vital to minimize non-compliance. To that end, MHA has an “Open Door Access” Policy with respect to the Director of Corporate Compliance. There shall be access to the Director of Corporate Compliance, in person, via telephone or email for employees seeking clarification on specific standards, policies, procedures, or other compliance related questions that may arise on a day to-day basis. Questions and responses will be documented, dated, and may be shared with all employees, as appropriate, to increase awareness/understanding. In the event a significant incident is reported, the Director of Corporate Compliance will immediately inform the CEO, Board Chair and the members of the Executive Compliance Committee. MHA is committed to the highest possible standards of trustworthy conduct while ensuring a workplace environment that promotes openness, fairness, productivity and teamwork. It is the policy of the MHA to consistently and fully comply with all laws and regulations pertaining to the billing for services under Medicaid, Medicare and other New York State (NYS) and federal government programs. This policy: 1) ensures compliance with the Federal False Claims Act and relevant NYS laws regarding false claims and statements and 2) provides assurance that the employee will be protected from retaliation, reprisals or victimization for conveying such information appropriately and in good faith. This policy is intended to supplement, not replace, Human Resources policies or routine operational procedures. MHA requires that all personnel comply with applicable federal and state laws and regulations. Personnel shall receive training on these laws, which are summarized below, and should consult with the DIRECTOR OF CORPORATE COMPLIANCE (who may confer with legal counsel, as needed) if they have questions about the application of these laws to their job. The Whistleblower Protection Act (WBPA) prohibits agencies from taking adverse personnel actions against employees who engage in whistle-blowing activities. If an employee chooses to make a whistleblower claim, the MHA is obligated to investigate the allegations and make a decision as to whether there are reasonable grounds to believe that a prohibited personnel practice took place. An employee participates in protected activity by disclosing information that evidences: fraud, gross mismanagement, gross waste of funds, an abuse of authority, a violation of a law, rule or regulation conducted by the government, or a substantial and specific danger to public health or safety. The WBPA prohibits any action taken by an employer that has a negative or adverse impact on an employee’s terms, conditions, or privileges of employment. This includes blacklisting, demotion, denial of benefits, denial of overtime or promotion, failure to hire or to promote, termination, intimidation, and reduction in pay. Knowingly making or using a false record or statement to conceal, avoid, or decrease an obligation to pay or transmit money or property. Documenting for services not rendered. There is no requirement that there be intent to defraud. United States. If the action results in a recovery for the government, the Reporter may be entitled to a percentage of funds recovered. MHA will not seek to impede any person from filing a qui tam lawsuit, through threats of retaliation or otherwise. At this time, the potential penalties for violating the Federal False Claims Act include treble damages plus a civil penalty of $5,000 – $10,000, as well as exclusion from federal health care programs. Health and Human Service. If a person submits a claim that the person knows is false or contains false information, or omits material information, then the agency receiving the claim may impose a penalty of up to $5,000 for each claim. The agency may also recover twice the amount of the claim. The New York State False Claims Act closely tracks the Federal False Claims Act. It imposes penalties on parties that file false and fraudulent claims for payment from any state or local government, including Medicaid. Penalties are $6,000 – $12,000 per claim and the recoverable damages are three times the value of the amount falsely received including consequential damages sustained by state or local government. The law also allows for qui tam lawsuits by individuals. Department of Health may impose a civil penalty of up to $2,000 per violation. If repeat violations occur within 5 years, a penalty up to $7,500 per violation may be imposed if they involve more serious violations of Medicaid rules, billing for services not rendered or providing excessive services. Prepare and maintain all claims according to generally accepted accounting principles and regulations established by Medicaid, Medicare and other payers. Finance staff are oriented and trained as needed in proper billing and coding procedures. Clinical staff are oriented and trained in clinical medical record keeping duties as per the Policy and Procedures manual for each respective program. Finance monthly and are uploaded to EPStaff Check. This system automatically verifies exclusions for new staff and vendors, as well as rescreening of current staff and current vendors on a monthly basis. Screening results are downloaded from an email monthly from EPStaff check and the audit history is stored for five years. For adverse responses found, a review is conducted to determine if the name matches the MHA employee or vendor. (If Compliance has difficulty matching the information, this is forwarded to Human Resources for further determination) Employees or vendors found to be excluded are terminated. Employees have a duty to report any event that could potentially result in their being determined to be an excluded person. to: OASAS, OMH, OPWDD, HIPAA, Medicaid, Medicare, DOH, Internal Revenue Code, NYS Not for-Profit Corporation Law, regulations of the NYS Attorney General, and NYS and Federal Laws. Each Program/Department Senior Supervisory Staff is responsible to assure staff are informed and adhere to regulatory requirements. Violations in records management by agency staff will result in disciplinary action up to and including termination. Monitoring and auditing the agency’s operations are key to ensuring compliance and adherence to policies and procedures. Monitoring and auditing can also identify areas of potential risk and those areas where additional training is required. Administrative Staff to implement the current Compliance Work Plan, which includes an annual identification of areas and policies which require updating. Progress reports of the ongoing monitoring activities including identification of suspected noncompliance, will be maintained by the Director of Corporate Compliance and shared when necessary with CEO. Compliance audits focused on those areas within the MHA that have been identified as problem areas in Special Fraud Alerts issued by the Federal Office of Inspector General (OIG), New York Office of the Medicaid inspector and OIG Annual Work Plans, and law enforcement initiatives. Results of chart reviews are submitted to Program Director and Executive Vice President. At monthly Q/A meetings, Corporate Compliance staff will review reports of completed work for accuracy. Periodic reviews of requisite service authorizations for services are tracked, requested, obtained and maintained in accordance with Medicaid standards. Periodic reviews of client records and corresponding bills for compliance with MHA billing and coding policies and applicable regulations. Compliance staff will perform quarterly audit of client records to ensure documentation is completed and filed in an appropriate time frame, including Treatment/Service Plans, Progress Notes and Comprehensive Assessments. Periodic reviews of such to ensure services are relevant, necessary and provided as documented. In any instance where it is found that billing is not supported by documentation, billing will be withheld for that service. The Finance Department will void any claim and instances where unsupported billing has occurred, monies will be returned adhering to protocols and process for self-disclosure. In cases of government inspections, staff is expressly prohibited from concealing, destroying, or altering any documents and prohibited from deceiving or making misleading statements to the government representative. Staff may not take any action resulting in a fellow staff member failing to provide accurate information or obstructing, misleading, or delaying the communication of information or records relating to a potential violation of law. Staff should contact their supervisor and the Compliance Officer with any questions regarding such issues. Employees are responsible for ensuring that they do not engage in conduct that violates State and Federal False Claims Act, related laws and MHA policies and procedures. All employees and Board members have a responsibility to make a good faith report of violations or suspected violations in accordance with this policy. Reports of violations or suspected violations will be kept confidential to the extent possible and consistent with the need to conduct an adequate investigation. MHA as well as to the reputations and morale of its employees, board members, volunteers, contractors and/or other agents. NOTE: Employees are encouraged to identify themselves when they report a concern or complaint. This enables MHA to obtain as much information as possible in order to effectively investigate the report. There are situations where an investigation into a report may not be possible unless the source of the information is identified. MHA understands also that there may be situations where a Reporter may choose not to identify him/herself. In that situation, Reporters are requested to put an identifier or indicate a mechanism or scenario where the Reporter can contact MHA or vice versa. Concerns expressed anonymously will be investigated to the best of MHA’s ability. To the extent possible, the employee who makes the complaint is expected to provide as much relevant information as possible to better enable MHA to conduct an investigation into the complaint. The report should describe as clearly as possible information as to the specific activity thought to be improper, dates on which the activity occurred, if known, other individuals known to be involved, and any other information that would be useful to an investigation of the allegation(s). Director, the Director of Human Resources, and the Director of Corporate Compliance or use any of the other reporting mechanisms mentioned in this section. The Director of Corporate Compliance has an “open door” policy with respect to receiving reports of violations and suspected violations. Reports can be made in person, in writing, or via phone at: 140 Route 303, Valley Cottage, NY 10989. (845) 267-2172, ext. 420. The DCC will make every effort to maintain the confidentiality of the identity of any individual who reports possible misconduct. Compliance to ensure that the Corporate Compliance Plan is aligned with binding policies, regulations, and laws. The Director of Human Resource also plays a key role regarding issues relating to compliance and personnel. All Board members are available to staff when there is a complaint or concern, contact information is available on request. Board members are expected, in the normal course of business, to bring any pertinent information to the attention of the Board Chairperson. The amount of contact between the Reporter and the investigative team comprised of members of the Compliance Committee will depend upon the nature of the issue and the clarity of information provided. Further information may be sought from the Reporter. An estimate of the time that it will take for a final opinion. Reporter may receive information about the outcome of the investigation. Failure to report suspected compliance issues, participate in non-compliant behavior or encourage/direct/permit/facilitate non-compliant behavior can result in disciplinary action that can include counseling, verbal warnings, written warnings, suspension, termination of assignment or other disciplinary measure. Corporate Compliance giving all pertinent information within 48 hours. Complaints involving client safety will be immediately reported as per the Justice Center requirements. Upon learning of a possible compliance concern, the Director of Corporate Compliance shall log the complaint and initiate an investigation within 48 hours of receipt of the complaint to determine if a violation has occurred. All employees, board members, volunteers, contractors and other agents are required to cooperate in any investigation that may occur. The Director of Corporate Compliance will conduct the investigation or refer the complaint to other MHA personnel as appropriate. The Director of Corporate Compliance will be responsible for tracking each complaint until its conclusion. Legal counsel may be requested when necessary. A report of each investigation will be prepared, which will include documentation of the issue and, as appropriate, a description of the investigative process, interview notes, and witnesses interviewed, documents reviewed, the results of the investigation, and disciplinary action and plans for correction action to prevent recurrence. Reports will be completed within 7 days of the conclusion of a case. Committee quarterly or as needed. President/CEO and the Board of Directors. Whenever a compliance issue or violation has been identified, a Corrective Action Plan will be developed to ensure, to the extent possible, that the specific issue is addressed and similar problems do not re-occur. As appropriate, the Corrective Action Plan will include issuing prompt restitution of overpayment, notification of appropriate governmental agencies, and instituting disciplinary action. The corrective action process will include implementing changes necessary for prevention of future similar violations at any MHA facility. Action plans may require provision of training, amendment of agency policy or procedures, personnel action, terminating contractual relationships, repayment, or external disclosure by advice of legal counsel. The Director of Corporate Compliance will monitor implementation of corrective actions to ensure compliance. Corporate Compliance Plan, Code of Conduct, HR Policy and related policies and procedures. The failure on the part of a supervisory or managerial person to implement, and maintain policies and procedures reasonably necessary to ensure compliance with the terms of the program or applicable laws and regulations. MHA shall not accord any weight to an individual’s claim that improper conduct or undertaking was for the benefit of MHA. Standards established in the Compliance Plan shall be consistently enforced with disciplinary proceedings and sanctions. This includes informal reprimands, formal reprimands, demotions, financial penalties, suspension and termination. In determining the appropriate disciplinary action for any violation of the Compliance Plan, MHA shall not take into consideration the individual’s economic benefit to the agency. MHA shall not knowingly hire or enter into contracts with individuals or entities who have been convicted of health care related violations or who are listed as debarred, excluded, or otherwise ineligible to participate in federal health care programs. MHA shall conduct due diligence as part of the decision-making process in hiring and retaining individuals and entities and in engaging in business relationships with individuals and entities. MHA recognizes the importance of a work force that is informed and knowledgeable. The goal of the Corporate Compliance Plan Education and Training is to inform and enhance employees’ knowledge-base as well as to reinforce the need for strict compliance with the law. Training is considered a condition of employment and failure to comply will result in disciplinary action up to and including termination. Training is conducted through the office of the Corporate Compliance and includes but is not limited to: distribution of this policy to all MHA employees, board members, volunteers, contractors and agents; education in the areas of False Claims and Whistleblower protections and agency procedures for detecting and reporting suspected fraud, waste, and abuse; education in the area of steps needed to ensure Medicaid and Medicare billing compliance. Training methods include both formal and informal mechanisms and are provided on an ongoing basis. Training will be provided for all new staff and Board Members and thereafter conducted annually.